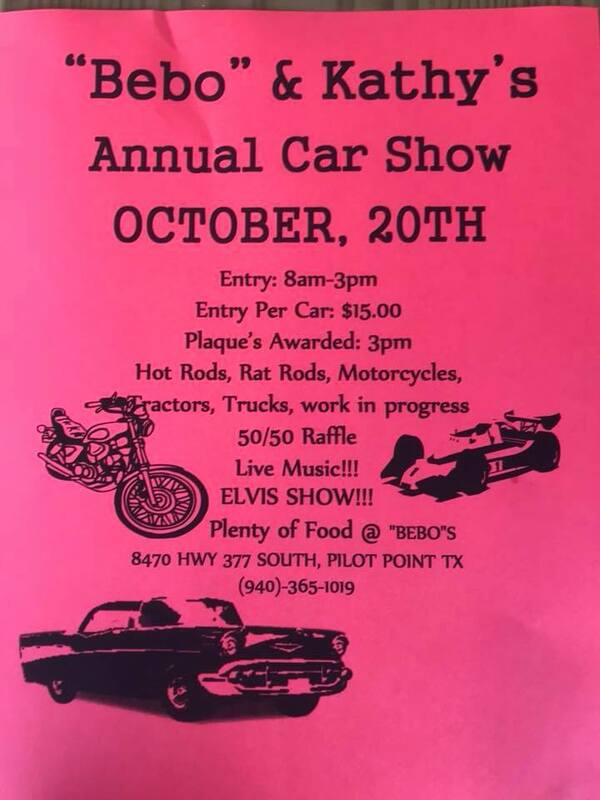 Bring out that car or truck or rat rod or motorcycle that your proud of and let’s hang out and enjoy the music, food and all the other fun we will have together showing off our favorite rides!! We also have booths set up selling there items, if you have something to sell , bring it !! Booth sites are free! !